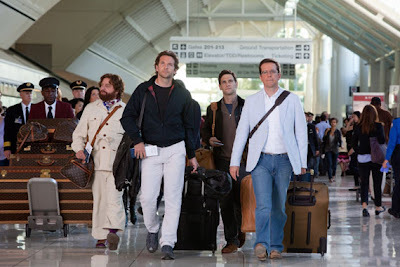 the lowerlife: The Most Anticipated Movies of 2011: Excitement! Zack Snyder's done an amazing job directing other notable works of fiction and now it is his turn to direct his own screenplay. Sucker Punch sounds like a bad dream (from IMDb): A young girl is institutionalized by her wicked stepfather. Retreating to an alternative reality as a coping strategy, she envisions a plan which will help her escape from the facility. The line between reality and fantasy is blurred to the point where it's hard to figure out what the hell is going on in the trailer. But I'm expecting big things from Snyder's visual panache and epic action scenes - he really knows how to bring those two elements together for some stunning and memorable moments in cinema. And who can't resist a bevy of badass women taking on their captors and enemies? The movie features a bunch of fresh faces - including Emily Browning, who looks equal parts sugar and spice. Meow! It may not be a groundbreaking film - but this is going to be one helluva treat for action fans! If there is a midnight showing for this movie, count me in. I only know one person who did not like The Hangover. It was an unexpected surprise in the summer of 2009, quickly becoming the highest-grossing R-rated comedy of all-time. It's with great relief, before the movie even came out, that the writers already had two more movies in mind with these characters. So this isn't a rushed sequel greenlit by the studio to cash in on the success of the first. The sequel has a lot to live up to and they're changing up the scenario - this time in Thailand - in hopes that these characters in a foreign land will be enough for moviegoers. There's no doubt this is going to be a bigger movie than the first - Liam Neeson replaced the controversial Mel Gibson's role in the movie as a tattoo artist and Bill Clinton has a cameo. Others are back including Mike Tyson and Ken Jeong, which while they're going to be funny, remains to be seen how they're going to bump into them halfway across the world in Thailand. But that's not a problem, really. Because this is going to be damn hilarious. When this trailer came up before Harry Potter, I heard some ask behind me if it was Oregon Trail the Movie. And then the title came up and a bunch of people laughed. I don't care what those people think, this is going to be one awesome movie. Hollywood has been wanting to make this movie, based on an 16-page comic book trademark (called an ashcan copy) from way back in 1995. It was finally given a graphic novel treatment three years ago and now it's finally coming to the big screen. This is pretty much every movie geek's dream - it could only get better if ninjas were involved (disclaimer: I don't think ninjas are involved). Jon Favreau, while taking some flak for Iron Man 2, is determined to get his mojo back with this movie. I've become most recently a fan of western movies, so the combination of that genre and sci-fi will be intriguing at the worst and spectacularly awesome at best. Some keep calling this Wild Wild West 2, but that was a campy, flash in the pan movie that never really made any sense. I don't think Favreau & company would sign up for such mediocrity. The movie looks pretty badass and terrifying - I like Daniel Craig taking on the role of the wordless wanderer (at least, that's what I see in the trailer) and Harrison Ford as the (sinister?) sheriff should be a treat. Hell yeah this is going to be great! OMG I'm so excited for this movie! Duncan Jones, who directed the wonderful Moon, is tackling another sci-fi picture. This time he's dealing with time travel and secret government agencies. All of this excitement pretty much stems from my love for Moon and the trailer above. And even though Tony Scott has tackled this kind of plot before (Deja Vu), I think Duncan Jones' penchant for sci-fi and his unique storytelling voice makes this a stronger movie. Gyllenhaal is a great actor, too and along with Michelle Monaghan and Vera Farmiga, the cast is solid. I can't wait to see what surprises this movie has in store. It's no surprise that a two sci-fi movies are in my top 5 - I'm a total geek about the genre and 2011 looks to have that in spades. And this is by far, the cream of the crop. The books are international best sellers and the Swedish movies have gone on to gross more than $200 million worldwide. 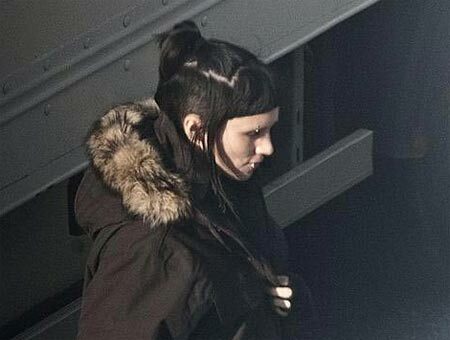 The studio brilliantly brought David Fincher on board to direct this film and found a relative newcomer, Rooney Mara (who was briefly in another great Fincher movie, The Social Network) to play one of the most interesting female characters ever written. To say the movie has high expectations is an understatement. It's probably not too early to say that it's the front runner to next year's Oscar race. Fincher hasn't made a bad movie yet, in my opinion, and I think he's only getting better at making beautiful, dramatic and intense films. The source material is even better - the series is by far, some of the best books I've read in quite a long time. They're amazing works of literature and as the Swedish movies can attest, easily adaptable to the big screen. My only regret is that there is so much good stuff in the books (back stories and side plots) that I would have liked to see a long HBO miniseries instead of a feature-length movie. But, saying that, it is going to be great because Fincher is behind it and they have assembled a great cast - Christopher Plummer is a perfect fit for the head of the Vanger family and Stellan Skarsgård as his nephew is another brilliant choice. It's a year away, but it's the clear choice for number one on my list.